Shortly after breakfast on July 1st, Tegan picked up a recently discarded brown cardboard box sitting beside our recycle bin. She had a vision in mind: she wanted to build a rocket ship. She needed some assistance – the cardboard box was too thick to cut with her scissors. So she created a design. First, I was assigned the window. With a utility knife, I cut a circle out of the box. A clear plastic lid, also sourced from the recycle bin, was installed. 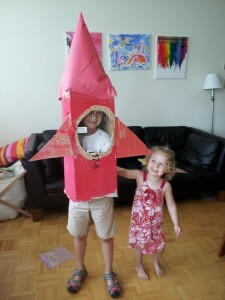 Tegan then made the fins from the box’s former flaps, and installed them using packing tape. Next came the nose cone. Rachel was a proponent of using the two remaining box flaps, and building an A-frame, triangular nose cone. Tegan had her heart set on a true conical design, but couldn’t quite figure out how to achieve it with the materials at hand. 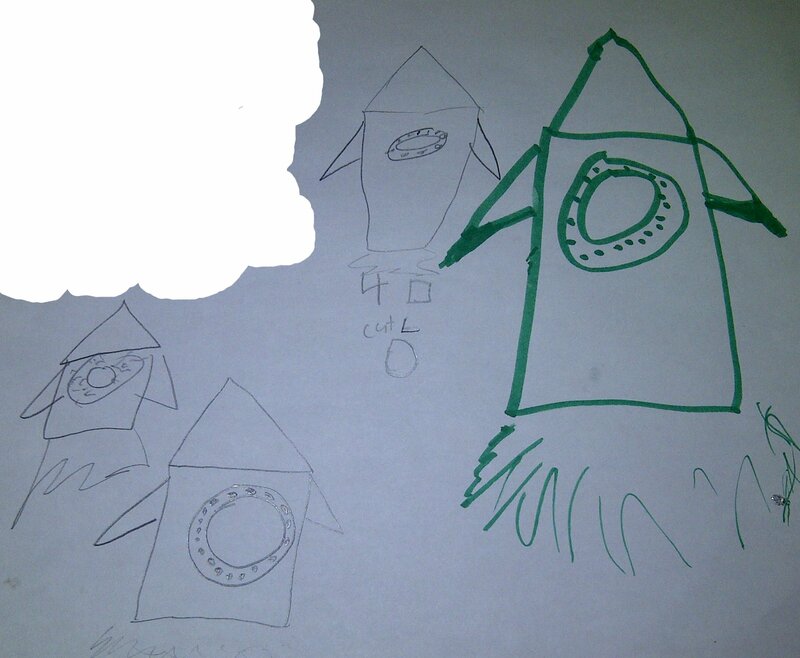 In the end, we taped 9 sheets of construction paper together, and rolled the now super-sized sheet into a cone, and installed it on the top of the rocket. 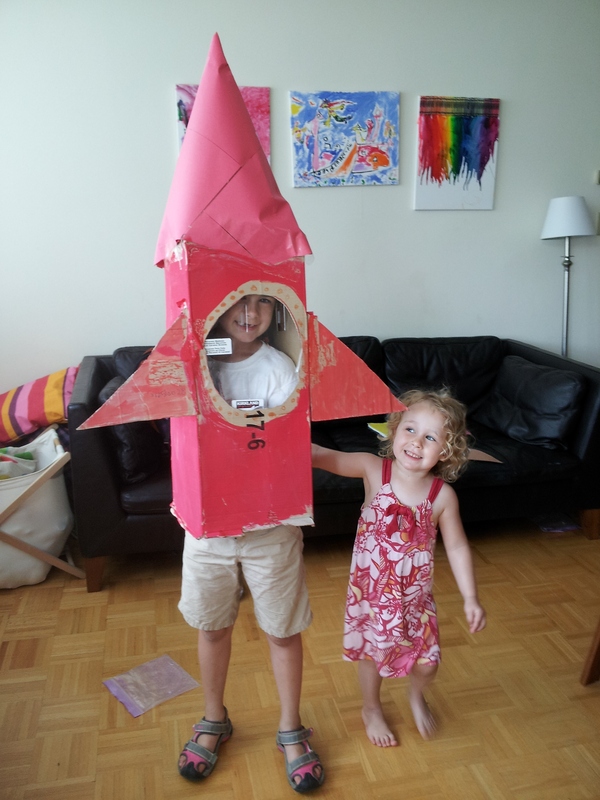 Together, the girls painted the rocket red. To this day, it sits in a corner of their room.